After lengthy discussion of what the bill might or might not do, the House communications and technology subcommittee today voted 18-11 on party lines to forward the Save the Internet Act (HR 1644) to the full Energy and Commerce Committee. Republicans, who had filed several potential amendments, only offered one during the markup, and sponsor Greg Walden (R., Ore.), the ranking minority member of the full committee, withdrew it after subcommittee Chairman Mike Doyle (D., Pa.) said he would be willing to work with Republicans on finding “some middle ground” on the amendment, which would have exempted small Internet service providers from the enhanced transparency requirement of the FCC’s 2015 open Internet order. The Save the Internet Act would rescind the FCC’s 2017 restoring Internet freedom (RIF) order, which had classified broadband Internet access service (BIAS) as an information service subject to light regulation under Title I of the Communications Act. The Save the Internet Act would also reinstate the FCC’s 2015 open Internet order, including classification of BIAS as a telecommunications service subject to common carrier regulation under Title II of the Communications Act. It would also restore the 2015 order’s bright-line rules against blocking, throttling, and paid prioritization and its general conduct standard, under which the FCC could address unjust, unreasonable, and discriminatory practices not covered by the bright-line rules (TR Daily, March 6). The Save the Internet Act would restore the 2015 order’s provisions through the somewhat unusual approach of stating that the 2015 open Internet report and order on remand, declaratory ruling, and order are “restored as in effect on January 19, 2017,” rather than laying out the content of the regulatory scheme for the BIAS providers in legislative language. During today’s markup session, Republican lawmakers repeatedly raised the issue of whether this approach would constrain the FCC in a way that it would not be constrained by the 2015 order itself. 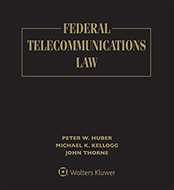 They were especially concerned about the possibility that a future FCC might decide to enforce against BIAS providers those provisions of Title II that it forbore from in the 2015 order. Republicans had planned to file amendments reflecting the three net neutrality bills previously proposed by Rep. Walden, subcommittee ranking minority member Bob Latta (R., Ohio), and Rep. Cathy McMorris Rodgers (R., Wash.), as well as an amendment incorporating the text of Rep. Adam Kinzinger’s (R., Ill.) previously proposed No Rate Regulation of Broadband Internet Access Act, which the House passed in 2016 (TR Daily, April 15, 2016), and which would have barred the FCC from regulating the rates charged for broadband Internet access service. The Kinzinger bill would not have affected the FCC’s authority to regulate the rates charged for services that receive universal service support, to enforce federal statutory truth-in-billing requirements, and to enforce its rule against paid prioritization. It also excluded data roaming and interconnection from the scope of the rate regulation prohibition. However, today they only offered one amendment, sponsored by Rep. Walden, which they said was identical Rep. Walden’s Small Business Broadband Deployment Act, which passed the House unanimously in 2016 while the 2015 open Internet order and its enhanced transparency requirement were in effect (TR Daily, March 16, 2016). As passed, the bill would have extended for five years the transparency requirement exemption established by the FCC, which at the time would have expired in December 2016, and would have increased the subscribership ceiling for qualifying for the exemption from 100,000 to 250,000. At the markup, Rep. Jerry McNerney (D., Calif.) said that while he had supported the 2016 measure, because of its five-year sunset date, he opposed the amendment. Rep. Dave Loebsack (D., Iowa) said he agreed with Rep. McNerney. Chairman Doyle said, “I think we can find some middle ground here” by the time of the full committee markup if Rep. Walden were to withdraw his amendment. Rep. Walden said, “I think this is still really important, especially if you’re going to put these — from my perspective — burdensome rules” on small providers. He said he knew that the proposal of further negotiations was made “in good faith” and withdrew his amendment. In his opening statement, Chairman Doyle, who sponsored the Save the Internet Act, said that it has 163 co-sponsors. He reiterated the arguments of supporters that the bill is needed to give the FCC rulemaking authority to address future bad actions by BIAS providers that does not fit within the prohibitions against blocking, throttling, and paid prioritization that Republicans have said they support and that it is needed to ensure FCC authority to enforce blocking and throttling prohibitions and other common carrier regulations, which were previously overturned by the U.S. Court of Appeals for the District of Columbia Circuit when the FCC attempted to adopt them without first classifying BIAS as a Title II common carrier service. Chairman Doyle also said that by codifying the 2015 open Internet order, the bill permanently codifies the FCC’s forbearance from the majority of Title II provisions, a view that Republicans repeatedly questioned. He also disputed what he said was an idea “circulating” the three net neutrality bills that Republicans have proposed (TR Daily, Feb. 7) were “drafted by ISPs.” He noted that his proposed Open Internet Act (HR 1006) “tracks” a draft proposal made by then Commerce Committee Chairman Henry A. Waxman (D., Calif.) after consultations with stakeholders in 2010, which also would have restricted the FCC from adopting net neutrality rules beyond those codified in statute. In addition, he said, the Promoting Internet Freedom and Innovation Act (HR 1096) proposed by Rep. McMorris Rodgers “tracks” net neutrality legislation passed by the Democratic-controlled legislature in her home state of Washington last year. Rep. Latta also said that it’s not clear that the Save the Internet Act would really “lock in” forbearance. Even if it does, he added, “the FCC could accomplish all the same mischief through sections 201 and 202,” which the 2015 order did not forbear from enforcing. Rep. Latta asked about the extent of the FCC’s remaining authority under sections 201 and 202 of the Communications Act, if the Save the Internet Act becomes law. Full Energy and Commerce Committee Chairman Frank Pallone Jr. (D., N.J.) emphasized the importance of a free and open Internet to small businesses, job seekers, innovation, and the economy in general. He noted that his proposed bill (HR 1101), which would add a section on Internet openness to Title I of the Communications Act while amending section 706 of the Act to state that it is not an independent grant of authority to the FCC or the states, would prohibit blocking, throttling, and paid prioritization. He questioned whether the Save the Internet Act might “empower the FCC to dictate where and when new broadband networks can, or must, be deployed”; might “provide the authority for a government takeover and management of private networks”; might “allow government taxation of the Internet”; or might “lead to government regulation of speech on the Internet.” These are “real” questions, he emphasized. Rep. Walden asked the committee counsel how the bill would ensure that the FCC would not reverse the forbearance decision, and was told that administrative law would preclude the FCC from changing forbearance that is expressly restored by Congress. Similarly, Rep. Kinzinger asked why the FCC couldn’t change its mind about forbearance. The majority counsel said that the Save the Internet Act would restore the legal situation as of Jan. 19, 2017, and the FCC couldn’t change that congressional decision. Rep. Walden noted that the 2015 order said that the FCC was forbearing from applying universal service contribution mandates to BIAS providers until the FCC, which has a long-running proceeding on contributions reform, decided whether to require such contributions. But under the Save the Internet Act, as described by its supporters, the FCC would be forever locked out of pursuing universal contribution reform with respect to BIAS providers, absent further congressional action, he said. Rep. Shimkus (R., Ill.) said that he believes “that we should enshrine protections against blocking, throttling, and paid prioritization into law,” but that the overhanging threat of future FCC action on Internet service price discourages network investment. Rep. McMorris Rodgers asked what provision of the Save the Internet Act would prohibit the FCC from nationalizing a 5G network. The majority counsel said that the 2015 order, which the bill would restore, did not address the prospect of nationalizing a 5G network. Rep. Greg Gianforte (R., Mont.) asked which provision of the bill “provides certainty that rural broadband providers will be able to get access to capital.” The majority counsel noted that it would restore the FCC’s authority to support broadband Internet access under the universal service provisions in section 254 of the Communications Act. Rep. Billy Long (R., Mo.) asked whether the bill would enable the FCC to “impose an Internet management fee.” The majority counsel noted that the 2015 order acknowledged the Internet Tax Freedom Act, which at the time was a moratorium on state and local Internet access taxes and duplicative and discriminatory taxes on e-commerce. Subsequently, Congress made the ban permanent. In their remarks on the bill, Democrats focused on the benefits of restoring net neutrality protections. Rep. McNerney said that a veteran told him that “he was worried about what net neutrality repeal would mean for his ability to obtain telemedicine benefits.” Rep. McNerney added that he has also heard from students worried about doing their homework and applying for college online in the absence of net neutrality protections. In statements, industry members advocated a light-touch regulatory approach. NCTA said, “With today’s action, the subcommittee has stubbornly insisted on a partisan path that leads to a dead end. The result of allergically resisting a bipartisan approach to resolving this decades-old issue is that consumers will fail to receive the net neutrality protections that are generally accepted and industry will not get the certainty it needs to invest more boldly. Those that profit from sustained controversy are the only real winners. “The issue is simple. There is a real path to bipartisan compromise on a set of strong, enforceable net neutrality rules, but any approach is doomed that insists on bolting on expansive powers that allow the government to control and regulate the internet more broadly. Congress does not need Title II in order to adopt strong rules that survive judicial review, as the Commission arguably did. The Constitution gives it the power to write modern rules on a blank page, without resorting to the backward exercise of dumping a mountain of dated phone regulations on the internet and hoping they can chisel and keep out all the bad parts that will cause harm to this vibrant infrastructure. Hopefully, once we move past the messaging vote on this bill, legislators will sit down cooperatively and do the real work of legislating,” NCTA added. The Wireless Internet Service Providers Association also advocates a light-touch approach outside of Title II. Supporters of the Save the Internet Act issued statements emphasizing the need to reject amendments.